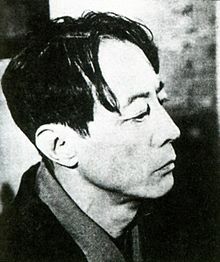 The aim of this article is to highlight one of the most original poets and literary theorists in Japanese literature, Sakutarō Hagiwara, 萩原 朔太郎 (1 November 1886 – 11 May 1942). His first free-style poetry collection Howling at the Moon (Tsuki ni hoeru, 月に吠える ), self-published in 1917, made an immediate and widespread impact on the Japanese literature and was the first step in establishing him as the father of modern colloquial poetry in Japan. His oeuvre is governed by three themes: 1. the tension between the escape from the pain of existence and the fear of relapsing into that pain; 2. the battle between instinct and conscience; and 3. the longing to return to a pure, primitive state of existence (Hayes, 1996). In what follows, I will explore some aspects of Hagiwara’s life and why he is considered the father of modern colloquial poetry. … (For the full text click here). 3) The stem of grass/Grass stems/草の茎. note 1: The translations of poems you’ll find here are mostly translations I found on the web. Translations from other sources will be referenced accordingly. Hayes, C. (1996). A Stray Dog Howling at The moon: A Literary Biography of Hagiwara Sakutaro (1886-1942). Doctoral dissertation. Volume 1.